Friendly, personal, practical and responsive legal solutions. Applying big firm skills and the small firm advantage of agility to our clients’ matters, we are dedicated to providing such solutions to all our clients across all our areas of practice. Our lawyers are well versed in a wide range of areas of law, enabling them to approach our clients’ matters holistically. We invite you to learn more about our services by visiting the relevant sections below. Working with lenders and borrowers, we strive to get deals done efficiently and effectively. We work hard to deliver particular client focused outcomes designed to meet our clients’ needs. Our experienced conveyancing team is dedicated to looking after our clients throughout the settlement period. We strive to make sure that your story is told and understood during criminal law matters. Our team of experienced lawyers provide discreet, practical and strategic advice and representation. We strive to focus on issues which matter to our clients, enabling us to provide a strategic and pragmatic approach. 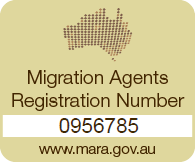 Our migration team are dedicated to assisting clients achieve their goal of migration to Australia. We work collaboratively with our clients’ other professional advisors to provide our clients with comprehensive and practical solutions. Our experience and excellent negotiation skills allow our clients to obtain meaningful and commercially successful outcomes.